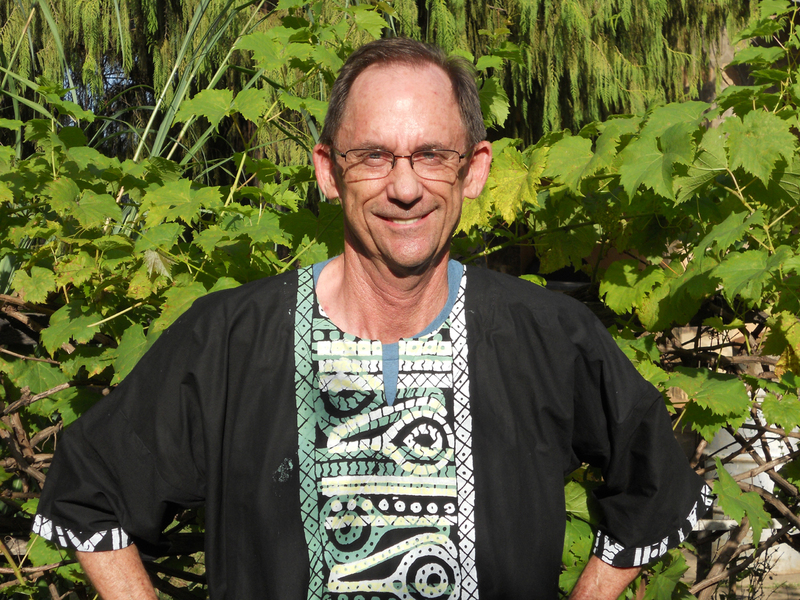 When George Janvier first went to Nigeria in 1985 as a Wheaton Bible Church missionary, he thought it might be for two years. That’s just what he’s done. Now, thirty years later, the approximately fifteen hundred students and church planters he has discipled and launched are extending God’s Kingdom throughout war-torn Nigeria, West Africa, and beyond. They are leading significant ministries as pastors, missionaries, Bible teachers, and leaders in Christian ministries. Unpretentious, humble, resourceful, and gifted at developing leaders, Dr. George Janvier has taught graduate-level courses at ECWA Theological Seminary in Jos, Nigeria, for twenty-five of his thirty years as a WBC missionary. There he has modeled discipleship at its best by teaching, facilitating outreach teams, and walking alongside church planters for the long haul. Officially, he headed up the PhD program and taught courses in evangelism, missions, and education. But in reality, George Janvier has been an “equipper missionary” who worked directly with the national church—developing men and women to plant churches that took root and thrived. In fact, he helped to plant more than fifty churches in urban and rural Nigeria and currently supports fifty more church planters by securing funding to sustain them until a new church can support them. One of the churches he helped plant is the one he himself attended in Jos, which grew from a congregation of thirty people to a weekly attendance of nearly four hundred. Practical ministry has been a key teaching focus for George, and each academic year he put together three strong evangelism teams from the seminary student body who would use music, drama, and film to reach the lost and needy. This hands-on training has paid rich dividends. “A student I had twelve years ago, who now works as a chaplain with the Nigerian police force, recently came to see me,” George said. “He told me he learned to use media/films for evan- gelism while at our seminary. Now he plants churches and does evangelism in police barracks throughout northern Nigeria. When George first went to Nigeria in 1985, the relationship between Muslims and Christians was cordial. “Small-scale skirmishes broke out, but nothing big,” he said. “After 9/11, Muslims in Nigeria seemed to feel more empowered to aggressively persecute Christians. The first large-scale problem for my town of Jos was in September 2001, and threats have increased ever since. Jos was most recently bombed in December 2014, then again in February and July 2015. “One of my biggest goals these past few years has been to focus on God’s care for us in a difficult setting of collapsing infrastructure and terrorism,” George said. “My students and I have struggled with the threats and violence we haveto live with because of Islamic terrorists who are sweeping through northern Nigeria. In fact, many of our students come from northern Nigeria where the terrorists operate freely. Some of them lost their support base when their relatives were either killed or driven out of their homes and became refugees. 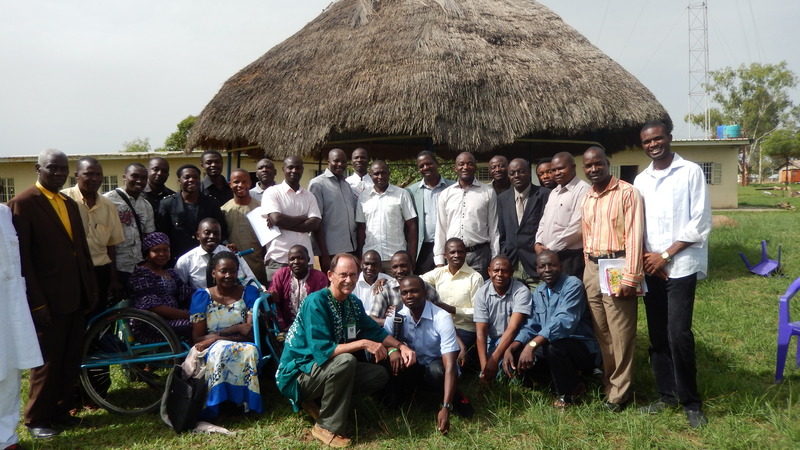 As George’s thirty-year missionary career at Jos was culminating, he vigorously pursued a dream God had put on his heart to significantly upgrade the seminary library. “Many of the books were outdated and literally falling apart. So I did extensive research on the books most needed in ten content areas and sought supporters to provide funds for the books. I was overwhelmed by the generous grants from Wheaton Bible Church that provided the spark for the project,” he said. Like George, students he has taught, mentored, discipled on ministry teams, and helped launch are also leaving their mark throughout Africa. —Hundreds have planted churches that have taken root or are thriving. 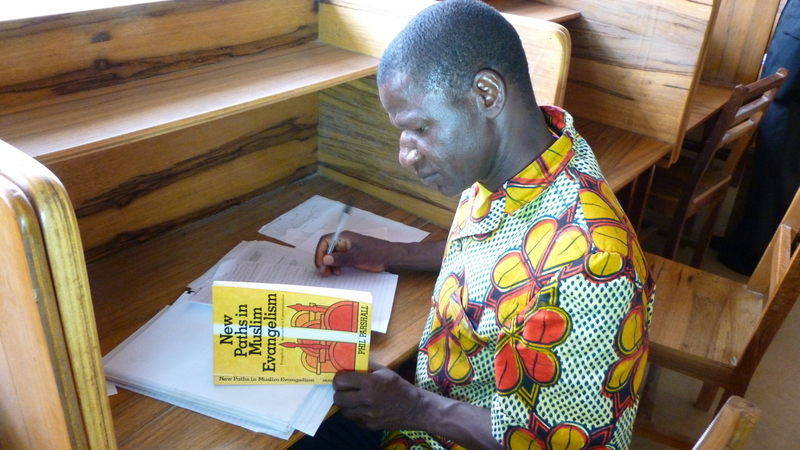 —Many, like Joshua, who serves in Togo, are full-time cross-cultural missionaries in other West-African countries. —Solomon—whose father was a pastor killed in Muslim-Christian riots in the early 1990s—is now acting pastor of the seminary church and oversees the seminary Gospel teams. —Another of George’s Nigerian students is pastoring an international church in Chicago. Prof. Janvier is (or was) a quintessential missionary scholar indeed. I was his student several years and was so blessed being one. I am the student to the far right in the group picture above, the one tall and adorned with a broad smile! One of the laudable things I so much enjoyed about his classes was the dynamics of blending each and every student’s view in any subject of class lecture. We were always given a chance each to share and air our views while he (the professor) suspended his own view and listened to us with rapt attention. That approach to teaching validated us so much and made us realize our capabilities for sound reasoning. Many of us are now aspiring for doctoral studies. We also benefitted enormously from his scholarship grants and ministry support funds. And just before his retirement, he swarmed our library with up-to-date texts that now enrich the research experience of students. God bless him greatly in his retirement and more so in the hereafter!